Hats Off to our Members! Members make great puppetry possible! Every April, we reach out to Puppet Showplace friends and fans to share the great benefits of membership, including discounts on tickets, store purchases, birthday parties, and more. This year, we’re also planning a special members-only event: a FREE Silly Hat-Making Party, coming up April 14th! HATS OFF to our members! Join us after the 3:00pm performance of "The Pied Piper of Hamelin" for a FREE craft activity and meet-and-greet with CactusHead Puppets. Inspired by the Town of Hamelin's "Haberdashery Hoopla," families can make their own silly hats, then pose for a picture with the puppet cast members in the show. Interested in becoming a member? Visit our Memberships page to find out what level is right for you. Want to up your support? Enthusiast Members ($250) get benefits to all of our programs AND receive 2 FREE tickets to our upcoming 45th Birthday Celebration! THANK YOU, MEMBERS, FOR BEING PART OF THE PUPPET SHOWPLACE FAMILY! Adventure through the alphabet, journey under the soil, and make sweet music during our spring 2019 series! 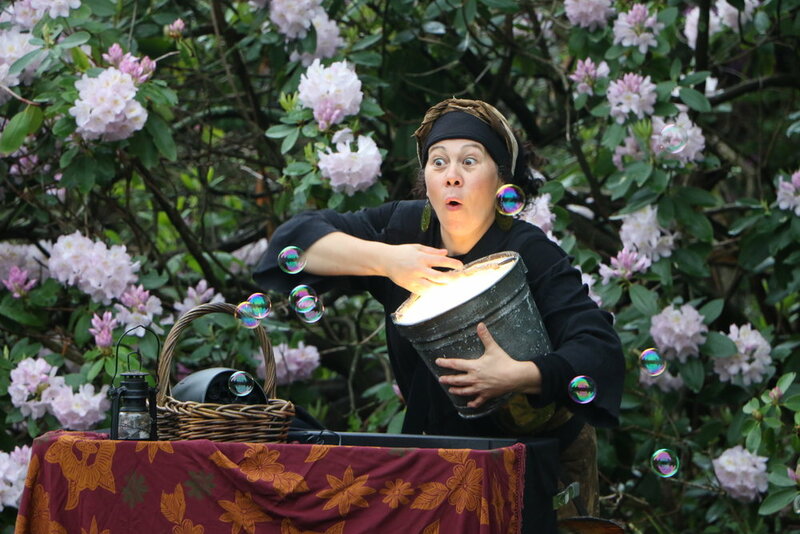 Audiences young and old will love these 13 multi-sensory shows that spark creativity. Stories in Bloom runs from Thursday April 4 - Saturday, June 15. Tickets are $12/general admission, $8/members . For individual show descriptions and online ticket purchases visit our mainstage page. Thursdays & Fridays at 10:30 and 1:00. Saturdays in June at 10:30 and 1:00 (No Sunday shows in June). "Word Play" by Good Hearted Entertainment (Thurs 4/4-Sun 4/7). 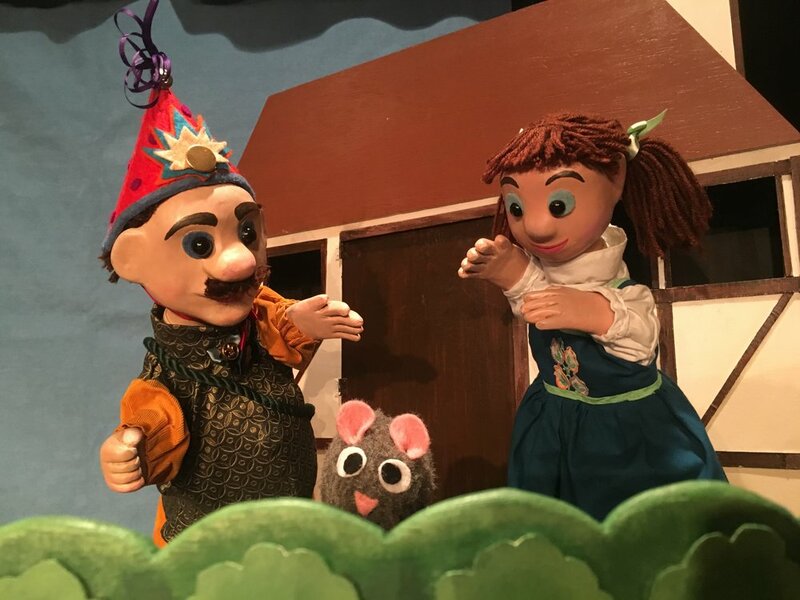 "The Pied Piper of Hamelin" by CactusHead Puppets (Thurs 4/11-Sun 4/14). 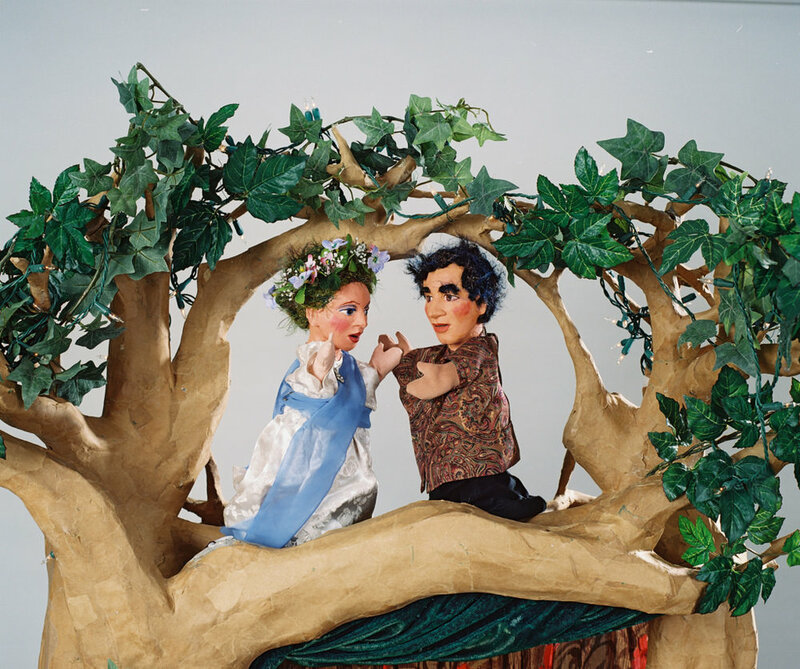 "A Woodland Cinderella" by Deborah Costine Nature Puppets (Tues 4/16-Wed 3/17). "Peter Rabbit Tales" by Tucker’s Tales (Thurs 4/18-Sat 4/20). 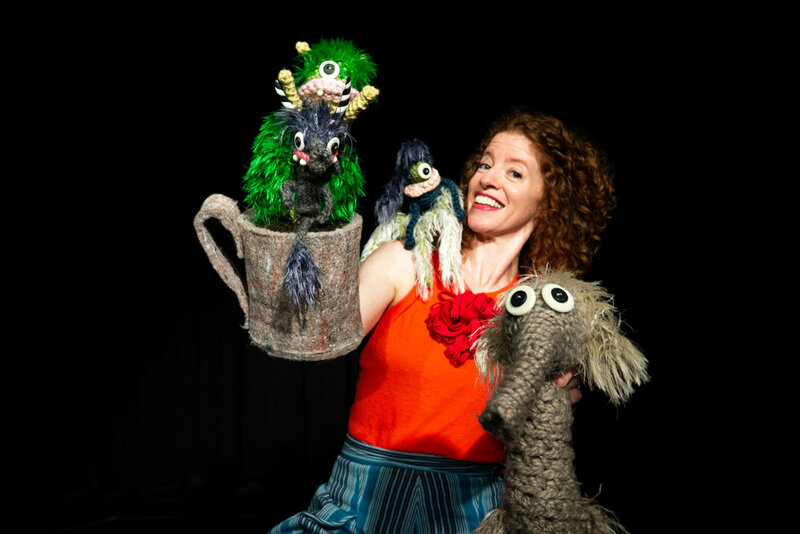 "The Doubtful Sprout" by Liz Joyce & A Couple of Puppets (Thurs 4/25-Sun 4/28). "I Spy Butterfly" by Faye Dupras & Max Weigert (Thurs 5/2-Sun 5/5). "Turtle’s Wetland Quest" by Deborah Costine Nature Puppets (Thurs 5/9-Fri 5/10). "Cinderella" by Tanglewood Marionettes (Sat 5/11-Sun 5/12). "Pinocchio" by National Marionette Theater (Thurs 5/23-Mon 5/27). 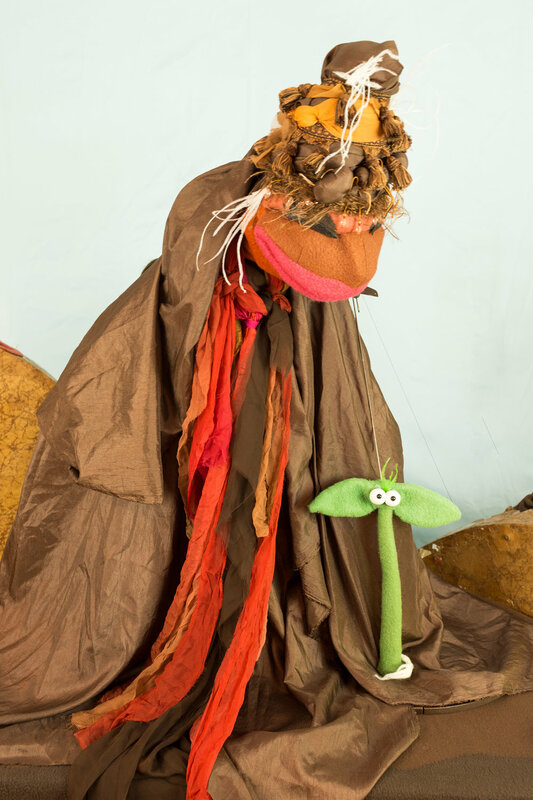 "The Legend of the Banana Kid" by Frogtown Mountain Puppeteers (Thurs 5/30-Sat 6/1). "Cozy Corner" by Faye Dupras & Max Weigert (Thurs 6/6-Sat 6/8). "The Fairy Circus" by Tanglewood Marionettes (Thurs 6/13-Sat 6/15). Journey to Japan, climb a beanstalk, or meet Baba Yaga during our March 2019 series! Audiences young and old can go on adventures around the world with five fantastic stories. Weekday shows return February 28th with Thursday and Friday morning performances at 10:30 am. Interested in field trip opportunities? Contact the box office today! (617-731-6400, boxoffice@puppetshowplace.org). For adults and teens, we’ll celebrate World Puppetry Day with a Puppet Showplace Slam! Puppets Around the World runs from Thursday February 28 - Sunday, March 31. Tickets are $12/general admission, $8/members . For individual show descriptions and online ticket purchases visit our mainstage page. Saturday and Sunday at 1:00 and 3:00. 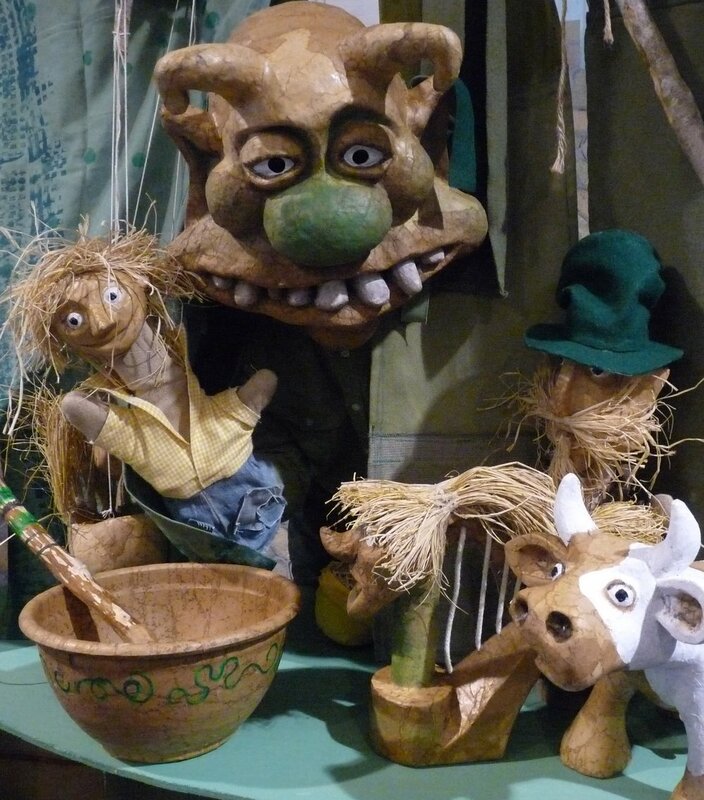 "Jack and the Beanstalk" by Dream Tale Puppets (Thurs 2/28-Sun 3/3), featuring performances by Polish puppeteer Jacek Zuzanski. "Shadows Around the World" by Nappy’s Puppets (Thurs 3/7-Sun 3/10), learn about global shadow puppetry styles from China to Turkey, and encounter world folktales with a humorous twist! 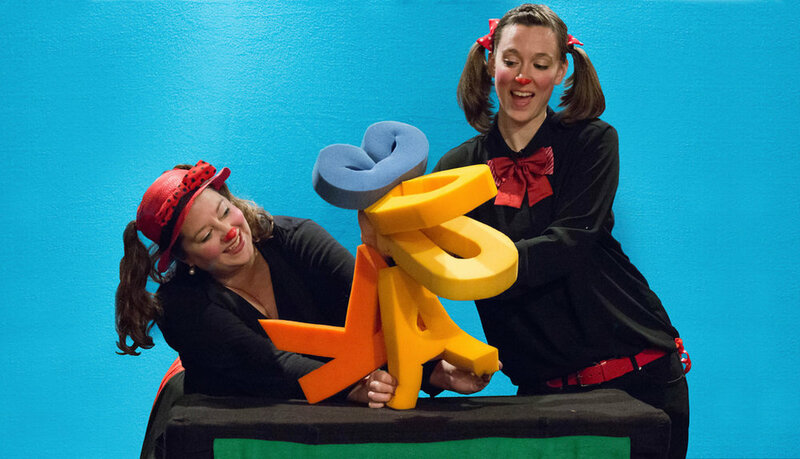 "Little One-Inch" by Red Herring Puppets (Thurs 3/14-Sun 3/17). 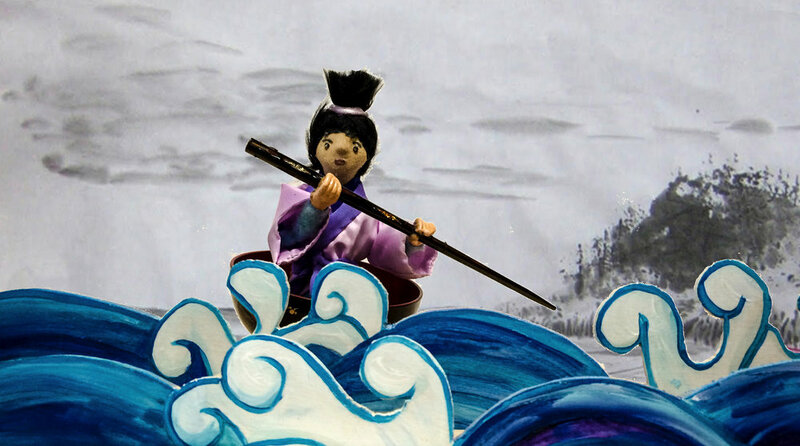 A traditional Japanese folk tale comes to life with a mix of Eastern and Western visual styles. "Chicken Soup, Chicken Soup" by Wonderspark Puppets (Fri 3/21-Sun 3/24). Two grandmothers, one Jewish and one Chinese, share recipes with their granddaughter. "Lisa the Wise" by Sarah Nolen, Resident Artist (Thurs 3/28-Sun 3/31). This show is inspired by the Russian folk tales of Baba Yaga and Vasilisa the Wise. Our “New Year, New Shows” series continues this month with “Go Home Tiny Monster,” a beautifully hand-crafted show told entirely without words by The Gottabees. It’s performed by Bonnie Duncan (above) with musicians Brendan Burns and Tony Leva, along with a lovable family of monsters. In the show, a girl and her family of monsters unexpectedly lose their home. Luckily, they have a whole audience of friendly people who can help them out! This fun and fantastical story was actually inspired by true events. Four members of The Gottabees were displaced from their homes: Brendan and Tony by a fire, and Bonnie and Dan (and their three young children) by weather-related damage. During this difficult time, they all discovered that their community came together and supported them through the experience. Now, they have a chance to share their story in a show that is filled with humor and heart! Much like your own family, each of these monsters has their own hobbies and personality. Get to know them below, then come to a show and say hello in person! If any of these monsters remind you of someone you know, let us know in the comments! Meet DUSTY! Dusty enjoys tidying up the house and snuggling with Sylvie! Meet JUNIOR! Junior likes to explore new places and meet new people. Meet FERN! Fern always wants to know everything that is going on. Meet GRANDPA! Grandpa is great at drawing and giving advice. You may have seen yarn monsters peeking up all over Brookline Village. They love having their picture taken! Snap a selfie with a monster and tag @PuppetShowplace #GoHomeTinyMonster for a chance to win FREE tickets to the show. Thank you for supporting the Gottabees and celebrating NEW work by local artists! “Go Home Tiny Monster” runs Saturday and Sunday February 2-3, 9-10, and 16-17 at 1:00 & 3:00 pm, and Monday February 18 at 10:30 am & 1:00 pm. Monster Design by Marte Ekhougen. Photos by Bonnie Duncan. Behind the Striped Curtain: The History Behind "Judy Saves the Day!" Puppet Showplace audiences may recall the striped tin our ushers use to collect tickets before each show. That tin depicts a performance of “Punch and Judy,” the most famous puppet show in the world. For over two hundred years, a single puppeteer in a striped booth, often called the “Professor", has brought the comedic trials of Punch, Judy, & Co to audiences worldwide. The characters of Punch and Judy have their roots in 16th century commedia dell’arte. Mr. Punch is often connected to the clownish Poncinello. In England, the iconic Punch and Judy show is typically a one-man performance, often performed outdoors, and dominated by the slapstick clowning of a pushy Mr. Punch. Through the years, many puppeteers have put their own personal spin on this classic. You may have even see some of those retellings on stage at Puppet Showplace! Mr. Punch faces off with Resident Artist Emeritus Paul Vincent Davis. Puppetmaster Jake’s Mr. Punch is anything but family-friendly! When it came time for Resident Artist Sarah Nolen to put her stamp on these characters, she began by thinking “what does Judy have to say?” Standing beside her striped booth, “Professor Nolen” introduces us to the traditional characters of Punch, Judy, The Baby, the Alligator, and more, but she reminds audiences that for most of history, the show called “Punch and Judy” has focused primarily on the adventures of Mr. Punch. But what does Judy have to say? “Professor” Nolen in front of her portable puppet booth! 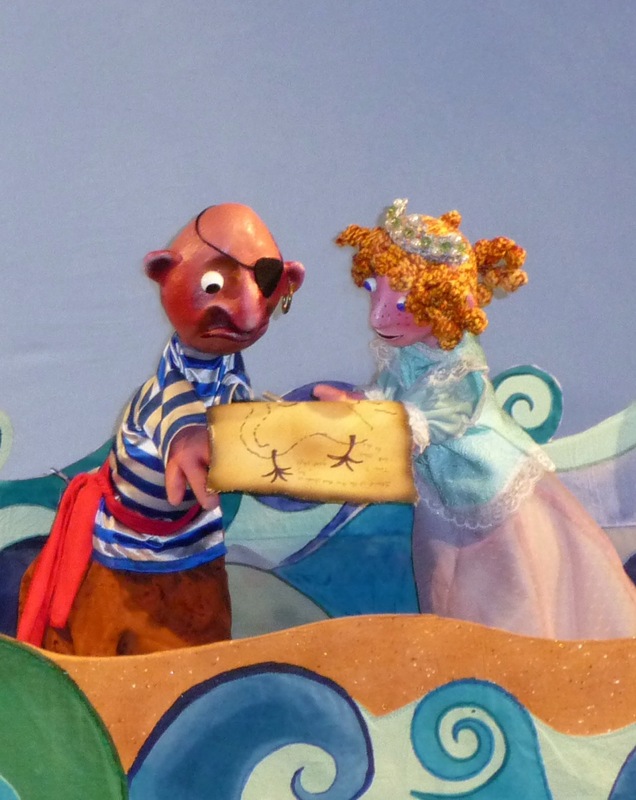 “Judy Saves the Day” has it’s world premiere at Puppet Showplace Theater Saturday, January 12th! Join us for shows January 12-13, 19-21, & 27-28, Saturdays & Sundays at 1:00 & 3:00 pm, Monday at 10:30 am & 1:00 pm. My daughter and I volunteering for Puppet Showplace Theater. We are both fans of Puppets at Night shows for adults and teens! This year, Puppet Showplace Theater celebrates 45 years as a hub of creativity. As one trustee put it, sparking “radical joy” is at the heart of our mission. The need for and power of a live theater experience for children cannot be overstated. In puppetry, anything can come alive, and children respond with excitement, curiosity, and wonder. In today’s screen-saturated world, we are committed to providing families a refuge: a delightful experience of empathy and creativity, powered simply by hand and heart. 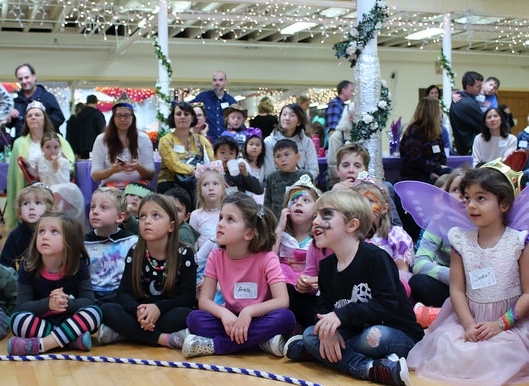 Children eagerly watch a performance at the theater’s annual Fairy Tale Tea Party. Beyond work for children, my family and I have become huge fans of the Puppets at Night series for adults and teens. These performances by local, regional, and international artists are masterful and moving, providing a truly unique theater experience in an intimate setting. Q&A sessions reveal how powerful the performances have been, and deep community engagement work extends their impact long after the shows are over. Meet Fred by Hijinx Theatre of Wales, September 2018. This show, never before seen in Boston, engaged audiences in conversations about access and inclusion. I write today to ask you to join me in supporting these works of imagination for children and adults. The rich range of programming and community partnerships would not be possible without the help of supporters like you. Your contribution this winter will directly support creative performances, workshops, and community engagement activities while ensuring access for diverse populations. Whether you make a gift, volunteer, or simply share the Puppet Showplace experience with others, you honor this work, helping us spread radical joy and the wisdom of imagination. Thank you for lending a hand and opening your heart! Puppeteer Faye Dupras at the Puppet Showplace Theater Gala, June 2018. Because of your generosity, local artists like Faye can create unique, memorable, interactive experiences for audiences of all ages. Give the Gift of Puppetry - Holiday Guide 2018! Puppet Showplace has new shows every week through the holiday season, from “The Case of the Missing Cookies” Thanksgiving weekend to “Peter and the Wolf” New Year’s Day! Tickets sell out fast, so make sure to purchase your tickets in advance. While you’re here for a show, do your holiday shopping in our Puppet Store, or purchase tickets, memberships, or gift cards online at any time! Folkmanis finger puppets make great stocking stuffers! Our store has great gifts for puppet fans of all ages! 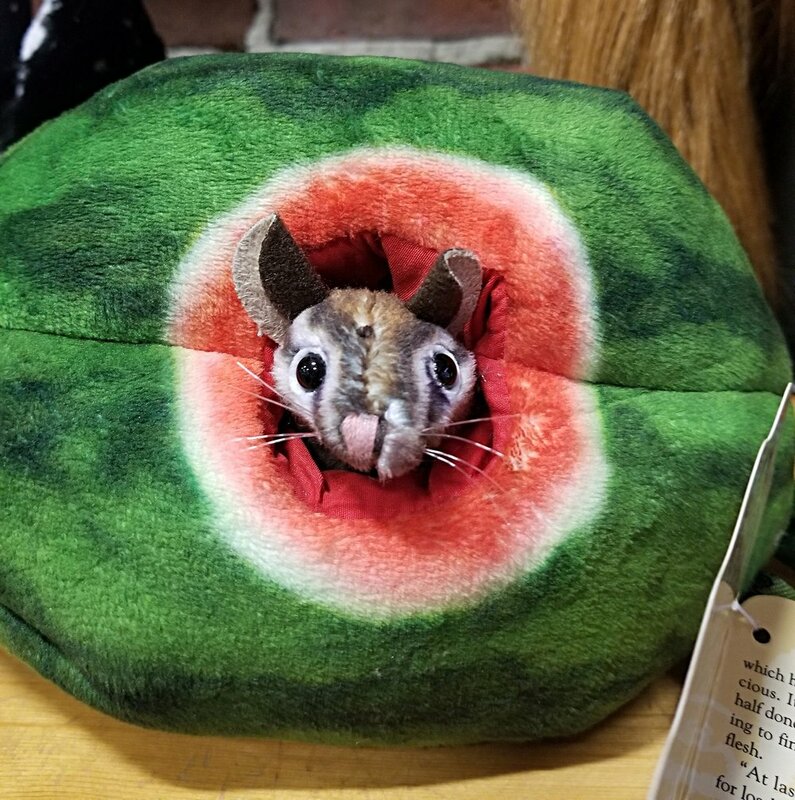 From adorable Folkmanis animal puppets to a beautiful array of marionettes, the Puppet Showplace store has the most comprehensive selection of puppets for sale in Greater Boston. And remember, Members receive 10% off all store purchases. Wear your Puppet Showplace pride in style! Puppet Showplace t-shirts are now available in child and adult sizes. Check friends and family off your list and let them flaunt that puppet pride! Memberships make great gifts! Share a year of puppetry with someone special on your list. Memberships include complimentary tickets. Plus, you get discounts on shows, store purchases, birthday parties, and classes. Throughout the year, members will also receive invitations to special members-only events. Four levels of membership are available: basic, family, puppets at night, and enthusiast. This gift is a great way to support the theater while making someone a part of the Puppet Showplace Theater family. 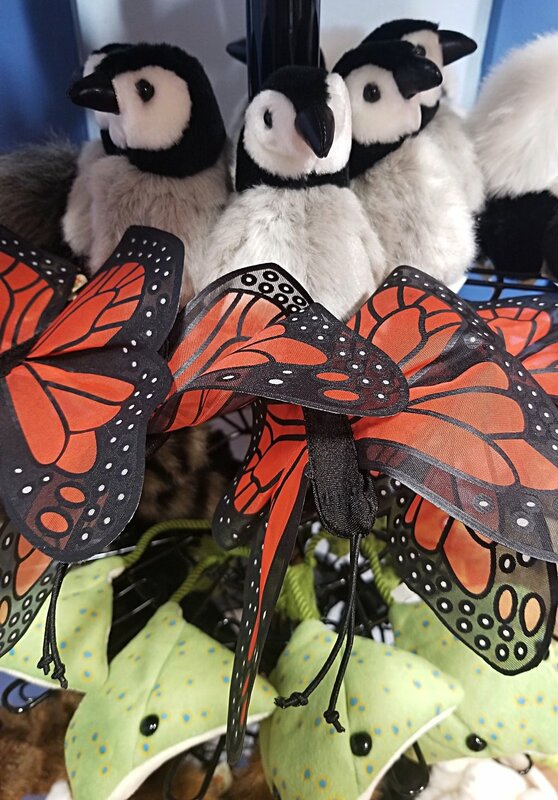 We carry plush Folkmanis puppets in all shapes and sizes! Can't decide what to get? We have the answer! Purchase a Puppet Showplace Gift Card, redeemable for tickets, puppet store purchases, adult/family workshops, and more! Gift cards are one of our most popular holiday items, and are available for purchase online or in person. Get one for everyone on your list! Students on a field trip to Puppet Showplace Theater, supported by YOUR gifts to the Mary Churchill Memorial Fund! Give the Gift of Puppetry to Kids in Need! Want to share the magic of puppetry with schools and camps whose students come from low-income communities? Make a tax-deductible contribution to the Mary Churchill Memorial Fund, our field trip subsidy program. It's a great way to spread joy this holiday season. Your gift allows us to welcome over 1,000 kids to Puppet Showplace theater every year. Thank you for making Puppet Showplace a part of your holiday experience! From all of us at Puppet Showplace Theater, we hope you have a magical holiday season! This November & December, join us here at Puppet Showplace for a series full of handcrafted tales to treasure forever! Fall into winter with eight spellbinding stories from around the world, plus a sneak peek of our February Incubator show “Go Home Tiny Monster.” Our series kicks off with a silly-not-scary reimagining of the beloved classic legend of Sleepy Hollow! We are also thrilled to announce the premiere of Cozy Corner, a toddler series by the much-loved duo behind “I Spy Butterfly,” Faye Dupras and Max Weigert. For adults and teens, in partnership with the BU Arts Initiative, we are thrilled to present a powerful Puppets at Night performance by Tarish Pipkins, also known as “Jeghetto,” who is visiting us all the way from North Carolina. November also kicks off our second session of Puppet Lab After School! 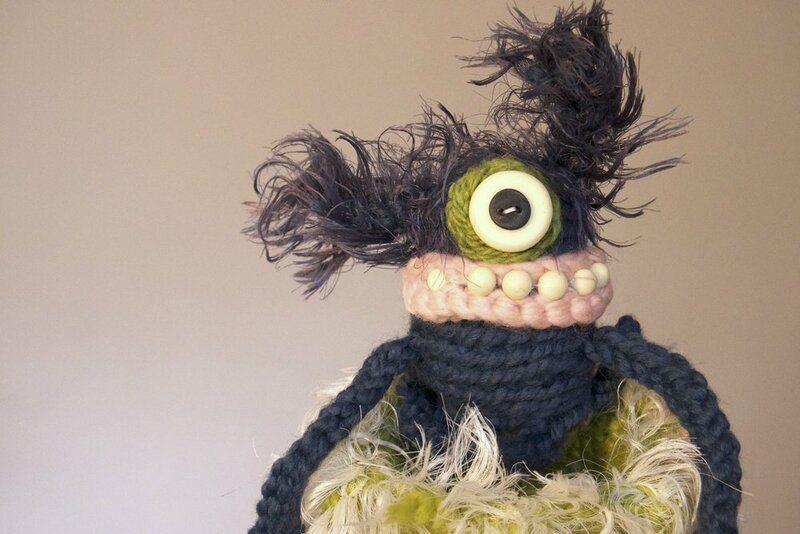 Register kids 9-13 now for this 6-week puppetry workshop. Legends Near and Far runs from Thursday November 1st- Monday December 28th. Tickets are $12-$15/general admission, $8-$10/members . For individual show descriptions and online ticket purchases visit our mainstage page. Holiday Mondays: 10:30 and 1:00. Have a birthday or special event coming up? Check out our great birthday party + puppet show packages. You and your guests are sure to have a fantastic experience! Friday, October 26 is the 5th Annual #ArtsMatterDay and we’re excited to join this online celebration of arts, culture, and creative expression. New England Puppeteers: Spend a Month in Montreal! Calling all professional puppeteers! Puppet Showplace Theater, in partnership with Casteliers and the Montreal Arts Council, is thrilled to announce an international cross-creative residency for professional puppeteers based in Montreal and New England. Applications are due November 5, 2018. With the goal of developing innovative puppetry while bringing together puppeteers from various backgrounds to exchange contemporary practices, Casteliers, the Montreal Arts Council (CAM) and Puppet Showplace Theater have teamed up to offer a residency for research and cross-creation to professional puppeteers. 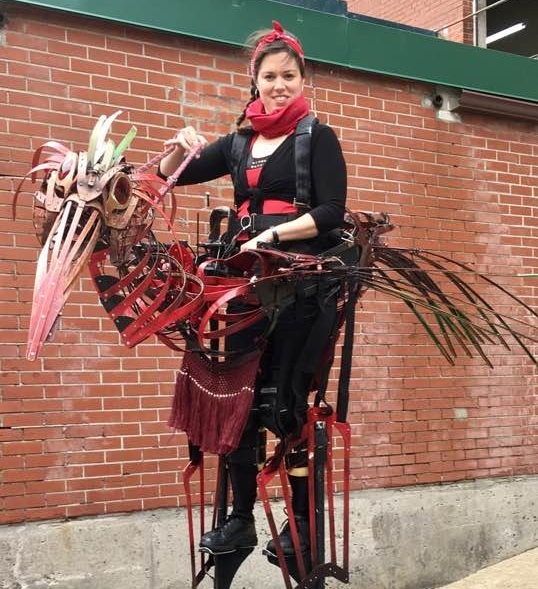 This international program, now in its third year, selects a Montreal artist to stay in Brookline while a New England-based puppeteer will travel to Montreal. For the visiting U.S. artist, the residency will last twenty-eight (28) days in Montreal from March 3 to 31, 2019. A $1000 living / per diem stipend and a $500 research and creation grant. Housing for 28 days in the Outremont neighborhood of Montreal. Festival pass to attend all shows at the Casteliers International Festival March 6-10. Workspace, materials, and creative supplies. While in attendance, artists will be expected to give one workshop to an audience of peer professionals. 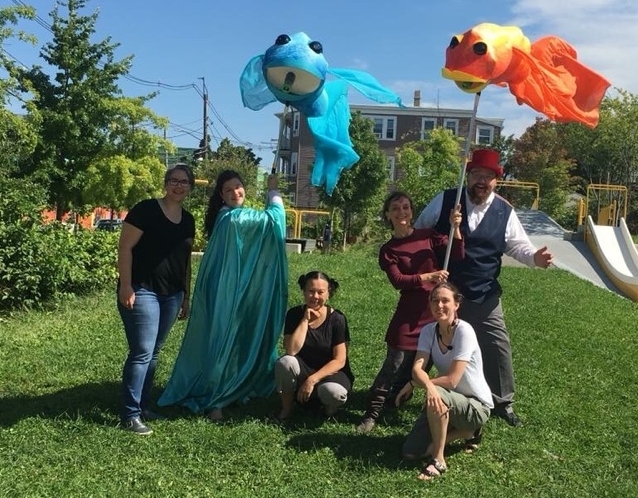 This project is for professional puppeteers from Montreal and New England who have been working in the professional puppetry business for a minimum of five (5) years and whose experience is recognized at the national or international level. The New England puppeteer must necessarily: be a US citizen or permanent resident for at least 12 months, and be domiciled in New England for at least 12 months. A professional puppeteer means any artist who, having acquired basic training, and possessing a competence recognized by their peers, creates, interprets, or distributes works in a professional context, devotes themselves mainly to the practice of their art, and receives remuneration for the works they produce. Applications will be evaluated by a selection committee composed of three (3) members from each country, whose expertise is recognized in the arts of puppetry. For New England puppeteers, the deadline for submitting applications is Monday, November 5, 2018, before midnight. Records must be emailed to Puppet Showplace Theater Artistic Director Roxanna Myhrum at: artistic@puppetshowplace.org. Incomplete files will not be retained. Files sent after the deadline will not be accepted. The decision of the selection committees will be known in mid-November 2018. Meet Fred: Know Before You Go! I am going to see Meet Fred at the Boston Center for the Arts. This guide is for anyone wondering about the details of seeing the play. If you need to purchase tickets online, visit the Meet Fred page. Meet Fred is a play by Hijinx Theatre. They are from Wales, United Kingdom. They have come a long way to perform the play in Boston. A video trailer for the show is here. There are 7 actors in the show, and one puppet named Fred. The show is 1 hour and 20 minutes with no intermission. 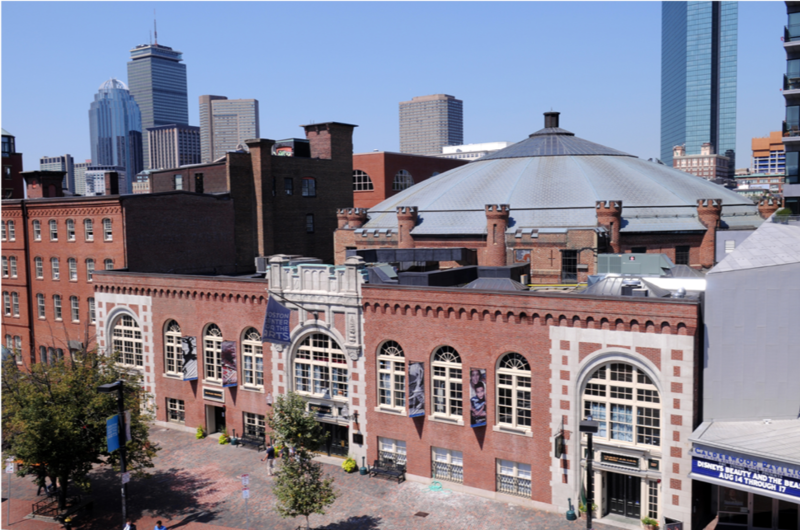 The show is located at the Boston Center for the Arts Plaza Theatre. The address is 539 Tremont Street Boston MA. To get to the Boston Center for the Arts I may walk, take a bus, train, or car. There is a curb cut for wheel access directly in front of the theater. Follow this link for detailed travel and parking information. When I arrive at the Boston Center for the Arts I will see a lot of doors. If I have already purchased tickets I can go directly to the Plaza Theatre to pick up my tickets. There is a sign for Meet Fred outside. If I still need to purchase tickets, I will go to the Box Office. The Box Office is in the Calderwood Pavillion. There is a blue sign that says “Buy Tix Here.” If I am not sure which door to use, I will go inside and ask. Someone on the staff will help me find the right place. If I am purchasing tickets, when I enter the Calderwood Pavillion, I can get my tickets from the Box Office. I might need to wait in line to do this. The lobby might be crowded. It is best to wait patiently. I can pick up my tickets from an usher at the Will Call table. To the left of the Will Call table is lift access. If I need lift access I will ask for assistance from the staff. This elevator can accommodate 1 person. The rest of my group can walk down the stairs (9 steps) and meet me in the lobby area. If I need help, I can ask a Staff member. They will be wearing name tags. They can help me find my way to the theater, bathrooms, or answer any other questions. Before I enter the theater, I will wait in the theater lobby. I can arrive up to 1 hour early to get familiar with the space. There will be books and displays in the lobby. There may be a lot of people. I can wait here while the performers are getting ready for the show. If I need help with seating, I can tell an usher. There is another show called Vicuña happening in the same building, so not everyone in the lobby will go to the same place. I will wait until the usher says that it’s time for the audience for Meet Fred to go into the theater. Food and drinks are not allowed in the theatre. If I have a drink or a snack, I can enjoy it in the lobby. We encourage you to bring any earphones, fidgets or helpful items you may need to enjoy the performance. When it is almost time for the play to start, I will give my ticket to an Usher at the door of the theater. When I enter the theater, there may be a lot of people waiting to sit. I will stay with my group inside the theater. There are floor seats and seats accessible by stairs. I can sit with my family and friends during the show. I may be sitting next to someone I don’t know. It is best to stay in the seat I picked while the show is happening, but I can always ask my parent, family member, or friend, if I need a break. During the show there is a moment where a confetti canon is used. There is also some swearing and speaking loudly. It is okay for me to cover my ears if the show is too noisy at any point. There is another moment in the show where Fred dances at a birthday party. There is a special colored light effect for this and music plays but NO strobe lighting is used. If I need to go to the bathroom or get a drink during the show, I can exit the theater via the ramp. The bathrooms & water fountain are just outside the theatre doors. A staff member can show me where the bathroom or water fountain is if I need help. During the show, some people in the audience may laugh or clap. I can tell the actors I am enjoying the show by clapping. At the end of the show, many people may choose to clap to tell the actors they liked the show. I can cover my ears if it is too noisy. When the show is over, the actors will answer questions about the show. I can choose to stay and listen or leave the theater. If I have a question, I will raise my hand. If we run out of time for questions, that is ok. When I leave the theater, I will go out the same way I came in. There may be other people trying to leave too, so my group might have to wait our turn for the elevator or stairs. Another performance may still be going on next door, so I will be quiet in the lobby. I look forward to meeting Fred, and to having a fun time at the theater! The Fall Fairy Tale Festival 2018! Puppet Showplace Theater's 8th Annual Fall Fairy Tale Festival launches Labor Day Weekend! Celebrate the back-to-school season with classic stories full of wonder and magic. This series features nine extraordinary shows for families, starting off with pirates, princesses, and plenty of puppets. We are also thrilled to announce the return of Puppet Playtime with Harry Lacoste, as well as two fantastic Puppets at Night events for adults and teens. The Fall Fairy Tale Festival runs from Saturday September 1st- Sunday October 28th. Tickets are $12-$15/general admission, $8-$10/members . For individual show descriptions and online ticket purchases visit our mainstage page. Become a member during our Fall Membership Drive, and you'll be eligible to attend our members-only Fairy Tale Tea Party on Monday October 8th! nights of performances showcasing the outcomes of these emerging works. Great for kids and adults, and 100% free! Hi, my name is Samantha McQueen, and this summer I worked as an intern here at Puppet Showplace. My job as an intern was to work on different graphic design and photography projects for the theater. To help me take better photos of puppets, I developed a few tips that I would like to share with you. In photography, "focus" usually means whether an image is sharp or blurry. For puppeteers, "focus" means what a puppet is looking at. For a puppet to look alive, the audience needs to believe that the puppet is seeing things around it: they need to believe the illusion of focus. Giving a puppet focus is harder than most people think. Have the puppet look into the camera. Does something seem off or creepy? That's because the puppet's focus needs to be adjusted to make it look like the character is looking back into the camera. Usually puppeteers need a director or an outside eye to confirm that the focus is correct. An alternative and sometimes easier way is to have a puppet focus on an object or another puppet on stage. That's what we did in the photo shoot for The Dinosaur Show, where Mama Brachiosaurus looks alive and attentive because she is focusing on an egg in her nest. Always know the puppet you are shooting. Every puppet will have different needs to look alive. Some puppets might need different angles to show off their best features, just like people like to show off their "good side." Also, keep in mind the lighting angle because it can cause dark shadows across a puppet's best features. For example, Augustine, from Punschi: The Adventures of Kasper, has a heavy brow. His heavy brow causes him to look angry if he looks down. This is shown in the photo above, which make him intimidating to the viewer. This can be fixed by having him look slightly upwards, almost looking like he's day dreaming. Sometimes you might be working by yourself to take photos, or your puppeteer might want a rest. In these situations, you can "wrangle" the puppet into an active pose using some pro techniques. One option is to create an armature like the one shown here to hold up the puppet, similar to those used in stop-motion animation. You can pose the puppet in the desired position, then step back and take the photo all by yourself. Other options include using stands, wires, strings, and other structures. If they end up in the photo, you can always edit them out later in photo software. It's hard to get a really good shot during a performance in front of a live audience. It might be better for you to take shots during a dress rehearsal, when the puppeteer can freeze at the part you want to shoot. Another idea is to watch the performance and write down the parts that you think will be good for an action shot or a posed set-up. Sometimes a staged photo might be necessary to get all of the elements you need, even if it's not exactly a scene from the show. This is also true if you want to capture audience reactions and interactions after the show. In order to show how much kids enjoyed the performance of Squirrel Stole My Underpants by The Gottabees, I had to get permission from their camp director and move quickly into position to show their smiling faces after the show. With a little planning, you can be in the right place at the right time to show their excitement. 5) The most important tip is to keep practicing. Photography is a skill that takes time to develop. Don’t be afraid to check out other photographers' work for inspiration. For example, I spoke with Richard Termine, the photographer for the Muppets and one of the country's leading puppetry photographers to get advice. Photos won't always come out the way you want, so don’t get discouraged. You can take another photo or you can edit in photo software. Or, you can go out in public and see what happens, like we did on this fun photo shoot with Mike Horner of Mesner Puppet Theatre. This photo had a record number of likes and shares on Facebook! I hope these tips will help you in future photo shoots. Special thanks to Puppet Showplace Theater for being a great place for my summer internship! I'm Peter Choi, a summer 2018 intern from Boston Latin School. When I first came here, I had almost no knowledge of puppetry. However, after many weeks working here, with lots of time spent at shows, in camps, and around professional puppeteers, I am proud to say that my knowledge of puppetry has expanded greatly! Now, I'd like to share some insights with you. One of my personal hobbies before I first entered the theater was voice-over. Voice-over is the business of using the voice to create recordings to be used in things such as radio, audiobooks, video games, narrations, cartoons, telephones, anime, commercials, and announcements. As I learned more about puppetry throughout the weeks, I realized that voice-over and puppetry had many similarities that I hadn't appreciated until now. Me and T-Rex behind the scenes with Mike Horner of Mesner Puppet Theatre. One important similarity is of course the voice! In both voice-over and puppetry, the voice is manipulated to create characters and to transport the audience into the world of the story. 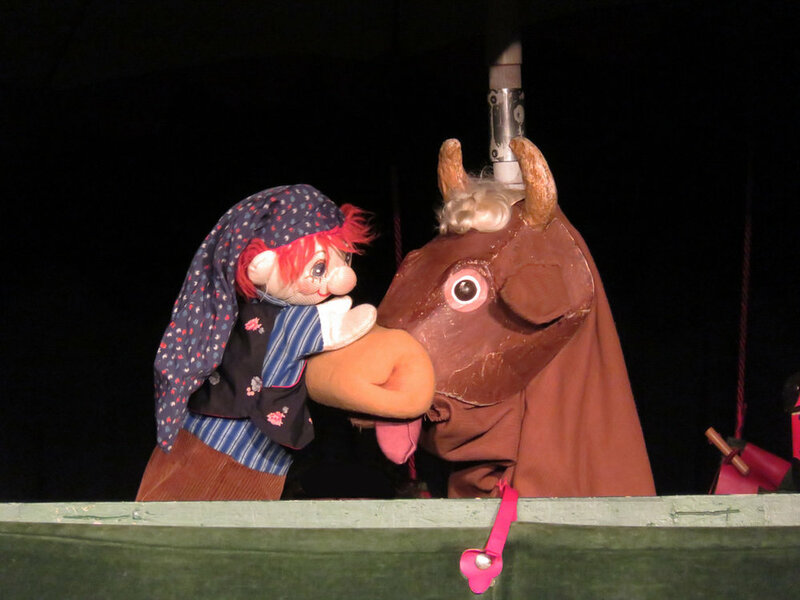 At Puppet Showplace, performers uses their voices to do so many things! I heard voices used to perform humans, monsters, dinosaurs, heroes, villains, and other characters big and small. One thing I discovered that I didn't expect was that sometimes, shows tell a story buy don’t use the voice at all! 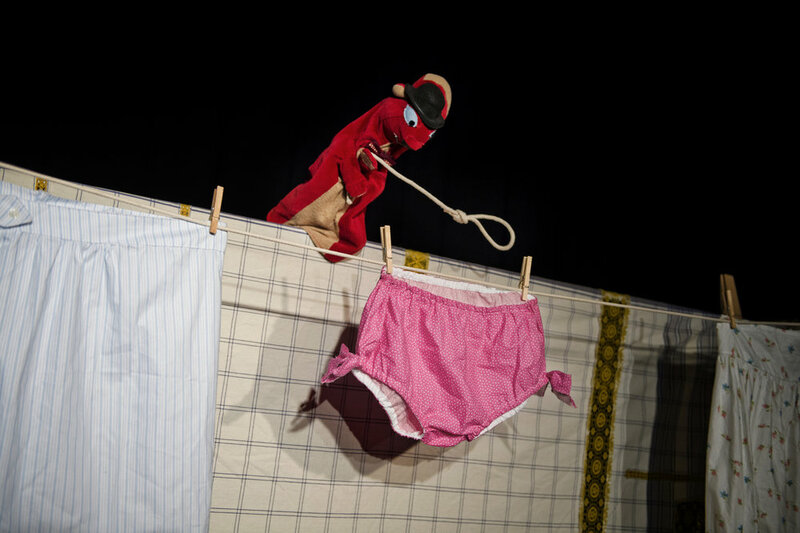 In shows such as Milo the Magnificent and Squirrel Stole My Underpants, the story is told entirely with puppetry and pantomime, or using gesture to communicate. Both actors and puppeteers need to maintain good vocal health. Maintaining good hydration and avoiding actions that can damage your voice and lungs, such as smoking and screaming too much, are vital for keeping a healthy voice. Silly voices: try this at home! While working here, I took the class Fundamentals of Silly Voices taught by Puppeteer, Voice Teacher, and Vocalist Brenda Huggins. I learned a lot! For instance, have you ever done impressions or made voices different from your regular voice? Not only do make for good laughs among friends, but they can be applied to both puppetry and voice-over as you can embody different characters with different voices. You can even try this at home. First: with your normal voice try speaking faster than your normal pace, then try speaking with a slower pace. Now raise the pitch of your voice and speak with a high pitch with a normal speed, fast speed, then slow speed. Do the same with a very low pitched voice. You now have 9 different types of voices that you can use for both puppetry and voice-over! You can make even more by adding different accents and impressions. Another thing I learned is that puppetry and voice-over both require well-timed vocal movements. I found this out during my first couple of weeks working here when I helped with puppetry summer camps for children. Even though these classes were for younger kids, I still learned a lot by helping out! "Lip Synch" when puppeteers match a puppet's mouth with the words that the character is speaking. Usually, the puppet's mouth is opened and closed by a puppeteer's hand. Doing this correctly can be really hard! One thing you can do is to practice is to bring your hand to your mouth, putting your thumb on your bottom lip and the rest of your fingers on your top lip. Then, match your hand movements to your mouth movements. It’s very difficult to do without touching your mouth and requires lots of practice to get it right. Lip-synch and the puppetry requirement of well-timed lines is very similar to creating voice-over tracks for anime, cartoons and video games from foreign countries. Since animation from foreign countries is animated with their vernacular, English voice-actors must redub characters, keeping in mind the timing of the mouth movements, also known as “lip-flaps”. This also can be difficult in in the beginning, but with practice can become easier. Both puppetry and voice-over are specialized fields, and I hope you enjoyed learning more about both! I look forward to applying what I learned during my internship in all of my future endeavors. If you're curious about voices in action, then come by soon to see a show! Let your imagination explore with our "Summer Puppet Adventures" series! July kicks off with the return of "Puppet Playtime: The Bella Show" for toddlers and tiny tots. 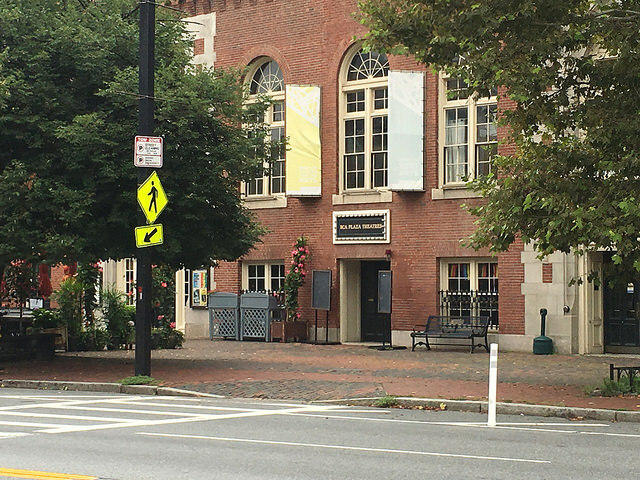 Then, enjoy exciting shows for all ages, from Crabgrass Puppet Theatre's hilarious retelling of "The Three Little Pigs," to Mesner Puppet Theater's Boston Debut of "The Dinosaur Show!" Shows are Wednesday through Saturday at 10:30am and 1pm all summer long, with additional Sunday shows August 26th for "Tommy's Space Adventure." Want to get in on the fun? Register for our NEW all-ages summer camp collaboration with Wheelock Family Theater: Summer Puppet Academy! The Summer Puppet Adventures series runs from Friday July 6th-Saturday August 25th. Tickets are $12-$15/general admission, $8-$10/members . For individual show descriptions and online ticket purchases visit our mainstage page. Become a member for discounts on all ticket and store purchases! Celebrate spring with Puppet Showplace! Pack a snack and explore the outdoors with these sweet adventure tales. Audience favorites "Word Play" and "Cardboard Explosion" return in May & June, and Modern Times Theater is back with a brand-new show, "The Perils of Mr. Punch: Use It Up!" Puppets at Night fans can join us for "El Beto" in April and our Spring Puppet Slam in May. March 21st is World Day of Puppetry! Join us all month long at Puppet Showplace for puppet adventures around the world. Our international journey continues through March with a Lunar New Year celebration of the Year of the Dog, a grown-up puppet slam, and the return of Tanglewood Marionettes and the classic marionette cabaret, "The Fairy Circus"! Then, join Tanglewood Marionettes March 29-31 for "The Fairy Circus," a dazzling display of circus acts performed in an enchanted garden. "The Fairy Circus" is a showcase for turn-of-the-century style trick puppetry, performed by over 20 beautifully handcrafted marionettes. World day of Puppetry is March 21st! Every March, puppeteers all over the globe celebrate the WORLD DAY OF PUPPETRY. Here at Puppet Showplace, we'll celebrate on March 24th at 8pm with a special edition of the Puppet Showplace Slam, featuring Chinese Theatre Works. Other performers include Charlotte Dore, Caitlin Brzezinski and Libby Schap, and MORE! Live music, cash bar. Where in the world have our puppeteers been?!? Puppet Showplace resident and affiliated artists have been on their own global journeys this month! Incubator Artist Bonnie Duncan of the Gottabees performed "Squirrel Stole My Underpants" at the Izmir Puppetry Festival in Turkey, and slam performer / adult class alumna Veronica Barron is on tour with Kid Koala's "Nufonia Must Fall" at the Taiwan International Festival of Arts. Artistic Director Roxie Myhrum and Resident Artist Sarah Nolen just returned from a wonderful weekend at the Casteliers Festival in Montreal, Québec, where Sarah performed in the North American Puppet Slam. Where in the world do you think they'll be next? Happy 2018! To kick off the new year, Puppet Showplace Theater is once again excited to present two world premieres in our annual New Year! New Shows! series, as well as a revival of an old favorite, Puppet Playtime. We will also be launching our very first after school program Puppet Lab! Our first mainstage show this year is The Bremen Town Musicians by the talented CactusHead Puppets. This show beautifully utilizes both shadow puppetry and rod puppets to put a new, CactusHead spin on the classic German folktale of four farm animals pursuing their dream to become world famous musicians, and the adventures they encounter on their journey. Thank you to our audiences for making the run such a success! 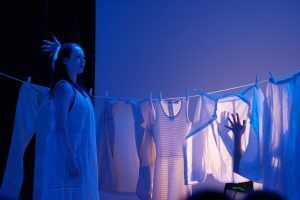 Starting February 3rd, we are proud to present the world premiere of The Fairy Tailor, by Resident Artist, Sarah Nolen! Meet the Fairy Tailor, hard at work in her enchanted shop, where dressing racks and laundry baskets are known to have a mind of their own. Watch as she transforms everyday garments into extraordinary characters, and shares familiar stories in an entirely new and clever way. This colorful, interactive production is guaranteed to inspire audiences of all ages. We are also excited to announce our NEW Puppet Playtime with Harry LaCoste. This interactive puppet show is geared towards toddlers and their parents and provides both laughs and learning. Puppet Playtime is a great introduction for toddlers to the experience of live performance. We provide a welcoming "lights-on," flexible environment for children and caretakers alike! Finally, we have officially launched our pilot after-school program, Puppet Lab! In each ten-week session, kids age 8-11 will have a chance to explore the materials, engineering, and design involved in puppetry arts. Each week we’ll tackle creative challenges in a fun, hands-on, and supportive environment that encourages experimentation. We’ll bravely go beyond simple craft projects to learn advanced tools, techniques, and topics in 3D design. Kids will learn by doing, gain confidence in their abilities, and discover new strategies for solving interdisciplinary problems. Click the link below to learn more or register for the upcoming session! Happy 2018! See you at the theater!